By Xah Lee. Date: 2017-02-24 . Last updated: 2017-02-24 . 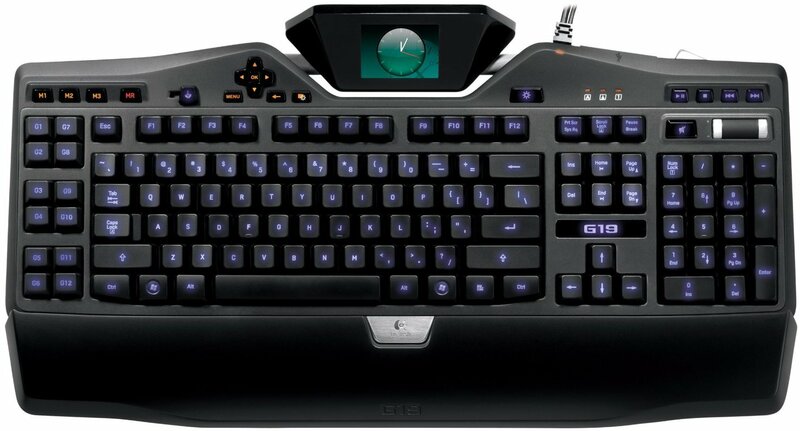 Logitech G19 came out in January 6, 2009. A upgraded version, G19s, came out in March 20, 2013. A tiltable, color GamePanel LCD displays game stats, system information, VOIP communication data, video playback, image slideshows, and many other items, without leaving the game. Lets you personalize the keyboard to complement the rest of your computer and gaming equipment. Provide space to program 36 time-saving commands per game (single keypresses or complex macros). The MR key allows you to record new macros on-the-fly. You can connect and power devices – such as your G9x Laser Mouse or G35 Headset – with the two high-speed USB 2.0 ports. You also have the ability to transfer data to and from peripherals – like MP3 players and flash drives – while providing power to charge battery-powered devices. A game/desktop mode switch lets you disable the Windows /Context Menu keys so you don’t get accidentally kicked out of your game. 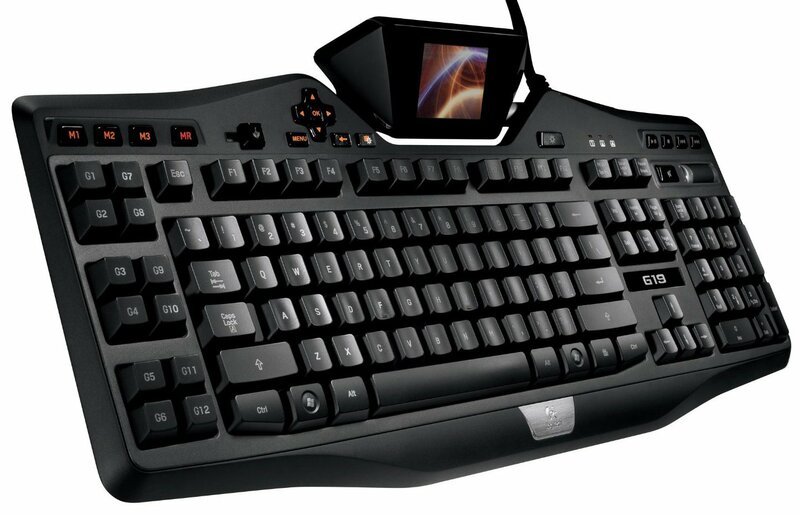 Performing multiple actions simultaneously is also made easier with the keyboard’s multi-key input-functionality, which allows you to engage up to five keys at the same time. The G19 is too bulky. Also, it has its own dedicated a power chord that plugs into a wall.